Now this is not the pop-up camera-toting, full screen device that we expected but more of a OnePlus 6T with a very small redesign. The OnePlus 6 was launched in May 2018, and it will be one year since, which means that it will be the ideal time to launch the OnePlus 7. Even though it is one of the most requested features by its community, the company is neglecting it for a long time. OnePlus appears to be playing it safer with the OnePlus 7 and is reserving the crazier design for the OnePlus 7 Pro. Maybe that's the difference between the OnePlus 7 and the OnePlus 7 Pro, also coinciding with the "Go Beyond Speed" moniker. This makes it much harder to corroborate the leak, but doesn't eschew the possibility of a May launch. Some tipsters have said that the OnePlus 7 would be launched on May 14. On the off chance Lau doesn't reveal anything related to OnePlus 7, some theories also suggest there could be something around the OnePlus TV. The company might finally come up with a stereo speaker setup. 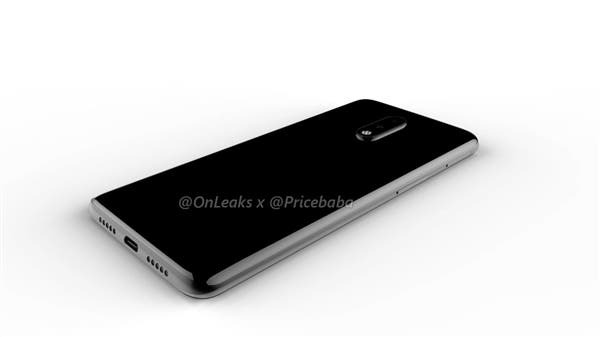 Previous OnePlus 7 information has all pointed to an nearly bezel-free phone with no notch and a mechanical, slide out front-facing camera but we've heard rumors that OnePlus could be launching more than one distinct handset. It will also have only two cameras on its back, a 48 megapixel main sensor and an unidentified secondary one, quite possibly just a depth sensor. While the standard variant comes with a front-facing selfie camera, the Pro variant sports pop-up selfie camera on the top. We don't have any confirmed OnePlus 7 specs yet but it will probably include a Snapdragon 855 chipset and at least 6GB of RAM. OnePlus is yet to confirm that information in an official post.